Bahria Town is a pretty spirit lifting place to live. The nature-full serene setting reminds us all of the boundless blessings Allah, The Creator, has arranged for our peace. “The Home of Allah”, Mosques, in such settings is but our humble effort to thank our Allah Almighty for His kindness. 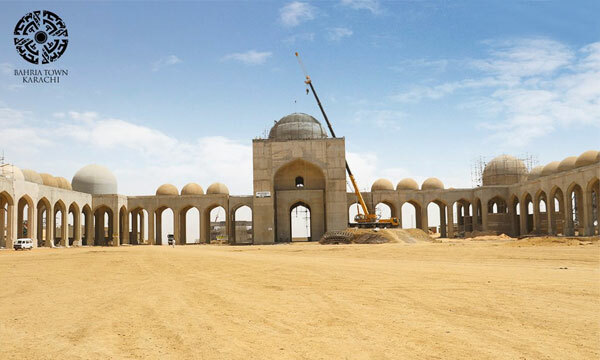 Bahria Town has provisioned each residential Sector with a mosque. For wider congregations, there are Jamia Mosques provisioned for each sector, for occasions like Friday prayers and Eid prayers. Parking space is also available within mosque compounds. 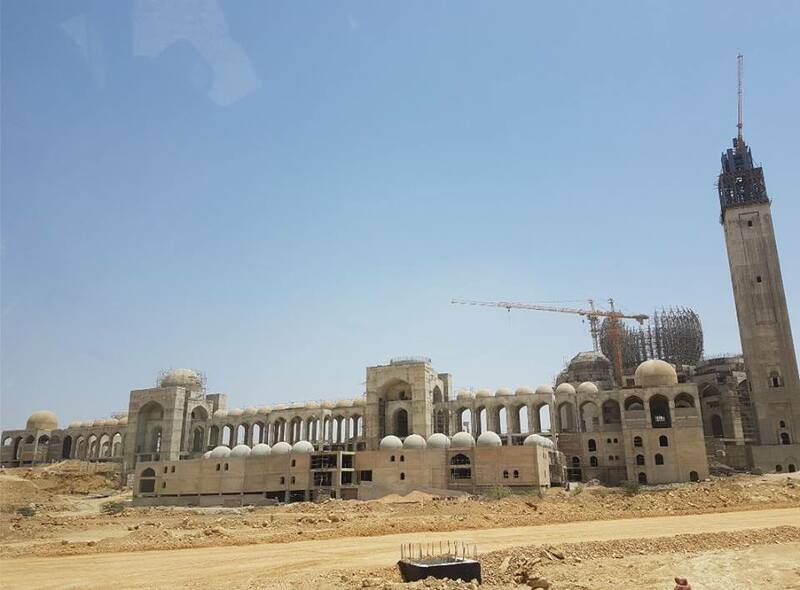 Currently, the Grand Jamia Mosque in Bahria Town Karachi in under construction. 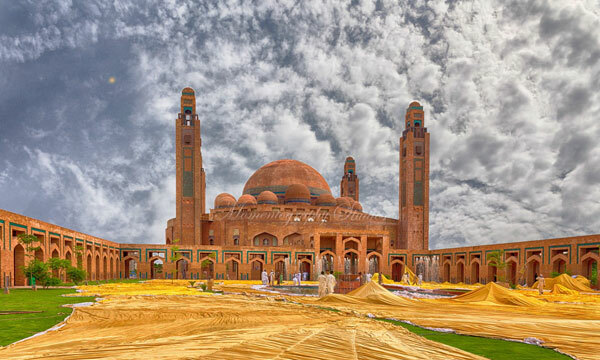 The Grand Jamia Mosque in Bahria Town Lahore has been completed. The mosque’s interior is absolutely magnificent, with breathtaking views representing the fusion of traditional Islamic architecture with Pakistani culture. The carpet has been custom-made and imported from Turkey, there are over 50 luminous Persian chandeliers, creating a vibrant Islamic ambience. 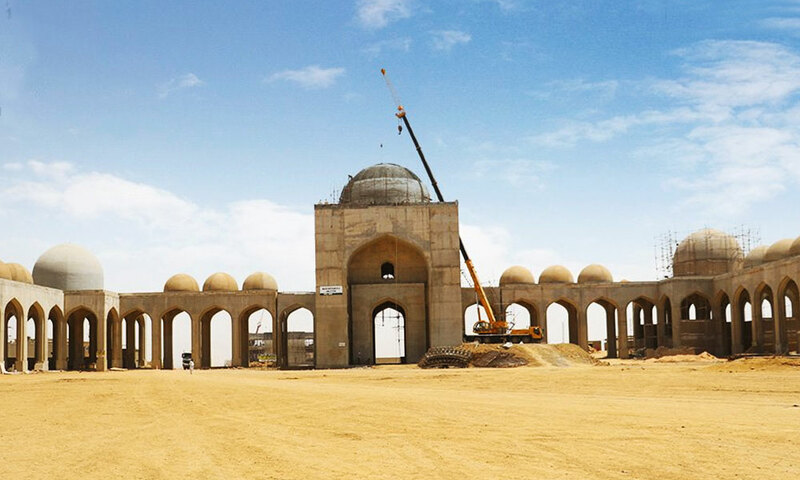 The structure comprises of 4 minarets, each standing tall at 165 ft. and a Grand Dome in the center, which is surrounded by 20 smaller domes. A fascinating feature about this masterpiece is that the exterior consists of 4 million, 2.5 inches handmade Multani tiles made from special Multanimitti and hand placed by the craftsmen. Placing these tiles alone took 4 years to complete. The total capacity of this magnificent piece of Islamic architecture is 70,000 making it the world’s 7th Largest mosque. It has an indoor capacity of 25,000, labelling it Pakistan’s Largest Mosque. There are dedicated praying areas for women, a school and an Islamic Art Gallery.